that more than 68,000 new cases of bladder cancer are diagnosed in the U.S. every year? Of those, approximately 90 percent of all patients undergo bladder surgery as a part of a cancer treatment plan. Cystectomy procedures can be used to remove either part or all of the bladder, as well as some surrounding structures like the seminal vesicles and prostate in men, and the uterus and ovaries in women. Am I a candidate for da Vinci ® cystectomy? Da Vinci cystectomy can be used for nearly all bladder cancer surgeries. 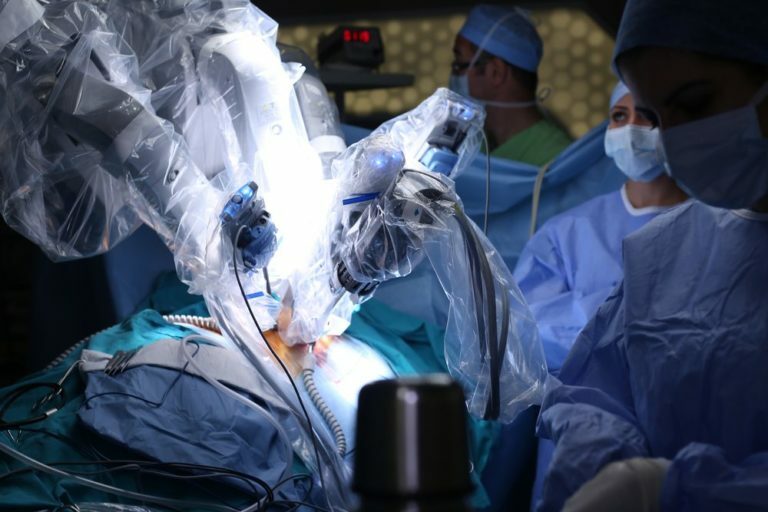 However, it is up to you and your doctor to determine whether robot-assisted surgery is right for you. Speak with your urologist about minimally invasive cystectomy at your next appointment. What should I expect during the da Vinci ® cystectomy procedure? You will be fully sedated for the duration of your surgery. A series of very small incisions will be made along your abdomen rather than the single large incision associated with traditional open bladder cancer surgery. Your surgeon will take control of the da Vinci ® robotic hands while the robot works to correct human error and shaky hand movements. Together with the da Vinci ® system, your surgeon can successfully remove your bladder, lymph nodes, and other target structures quickly, efficiently, and as least invasively as possible. You can expect to remain in the hospital for at least 2 days following your cystectomy. Following this initial recovery period, your body will continue to heal for many weeks following the procedure. You can return to work soon after coming home, but you should avoid heavy lifting. Your urologist will give you additional instructions for bathing, bending over, eating, and other day-to-day activities.